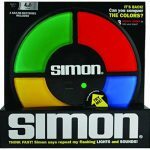 Here are some of the indoor games, kids can spend time during their holidays. 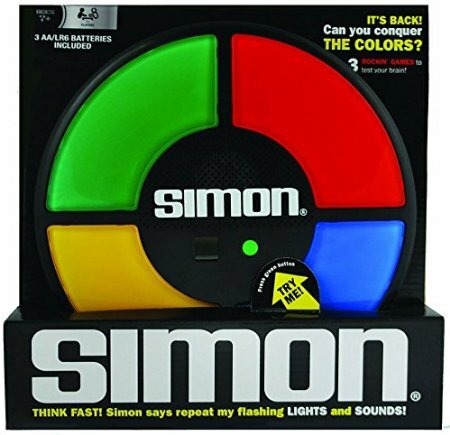 It is a memory game with touch technology, you can play against Simon or can have multiple playersPlayers are responsible for their assigned colored button and must repeat the sequence correctly. 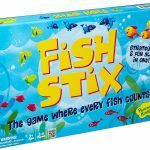 Fish Stix is a visual strategy game. 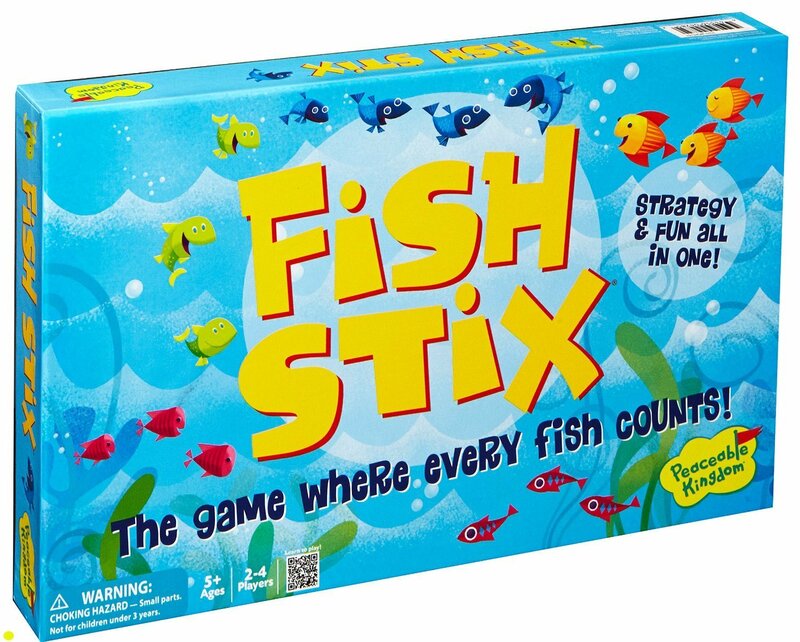 To start, players place 1 fish stick in the center of a table where all players can reach it. Give each player 3 sticks, 1 scoreboard, and 6 fish tokens. Players take turns matching fish by color and direction. For every fish matched, a player moves her fish token that number of spaces on her scoreboard. The first player to move all tokens to 10 wins! Be careful – the direction each fish is swimming can be confusing. 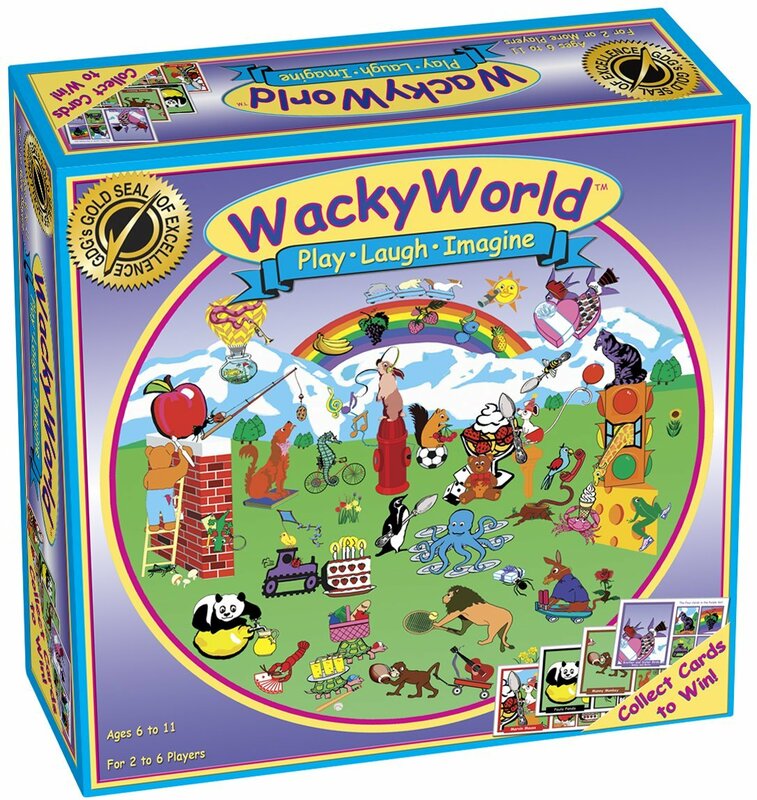 Kids love to collect cards, and Wacky World features cards with a whole range of zany characters. 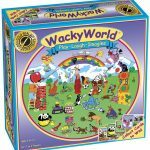 There’s Gina Giraffe staring at an ice cream cone, Manny Monkey holding a football, Paula Panda pouring out lemonade… and much, much more! The race is on! 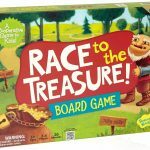 Can you beat the Ogre to the treasure? It’s your job to make a path from START to the treasure and collect the three keys that will open the treasure’s locks before the Ogre gets there. Working together the players need to first make a path to the three keys that open the treasure and then lay a path to the treasure itself. 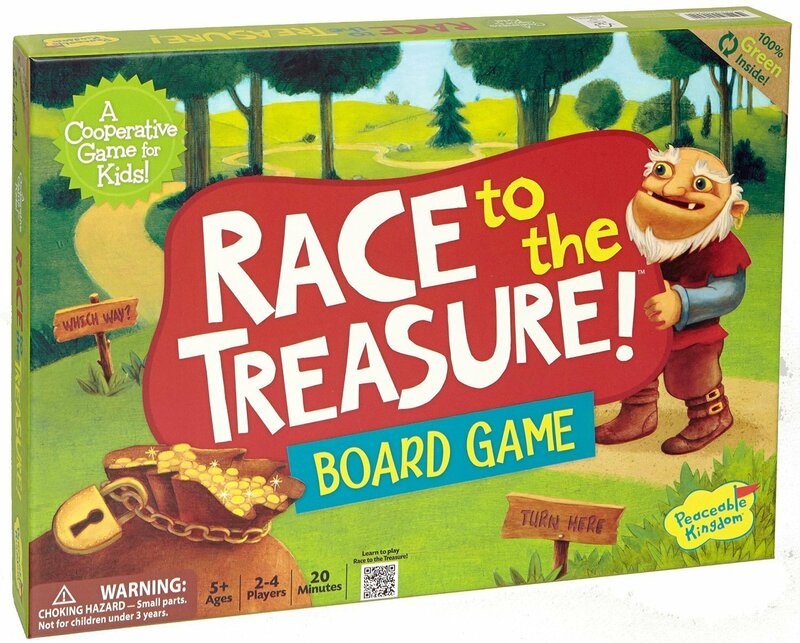 All the while, each Ogre tile gets him closer to the treasure, and the players losing. There are two indoor clue card decks and two outdoor clue card decks for kids and adults. 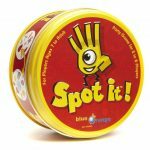 It does not matter if it’s a team of kids or adults, everyone is guaranteed to have a great time tracking down objects! 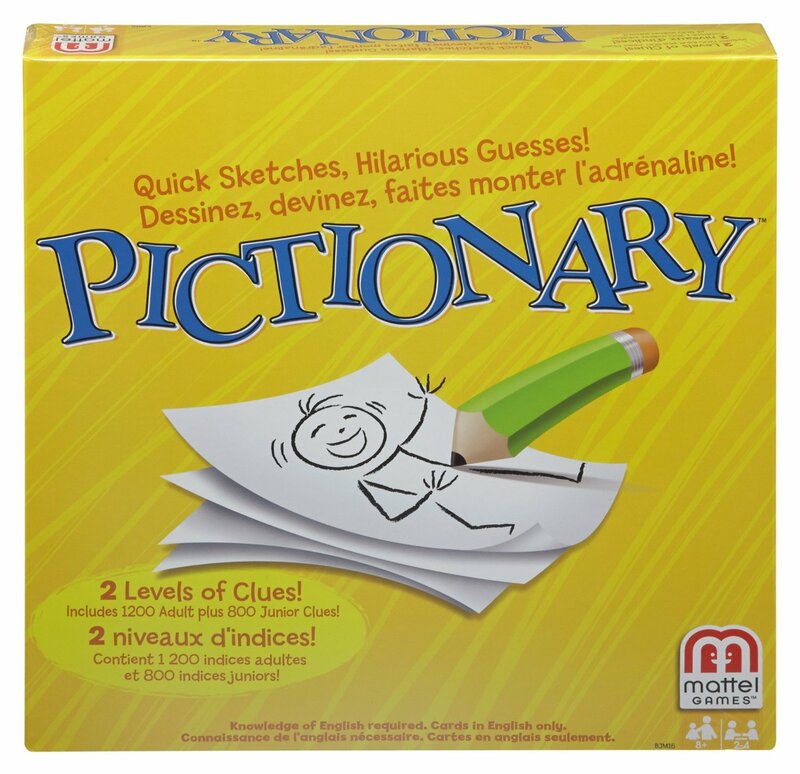 The board game Pictionary is fun to play with a group of three or more people. 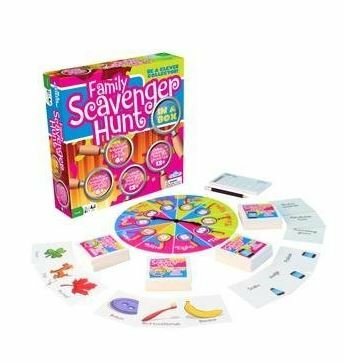 The game includes a game board, 4 playing pieces and category cards, a 1-minute sand timer and a die. 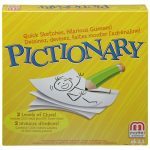 It originally comes with 4 drawing pads and pencils, but you can use any paper and pencils or even small dry-erase boards and markers. 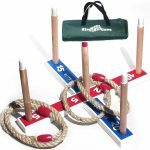 Ring toss and its numerous variants have fairly simple instructions: throw rings from a distance, aiming to get the rings over a post. 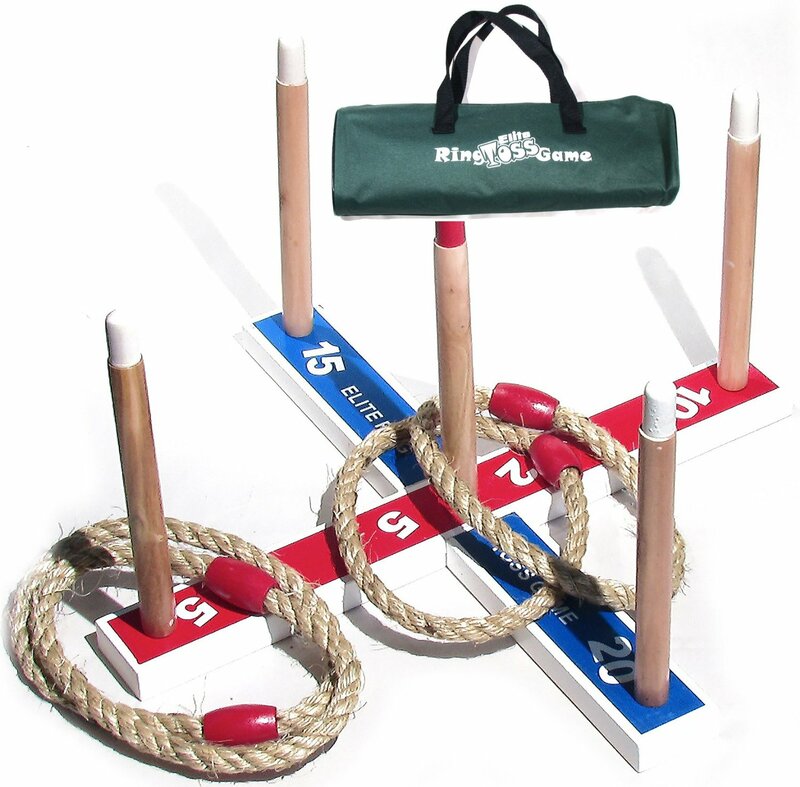 Each ring that lands over a post scores points. The player with the most points wins. 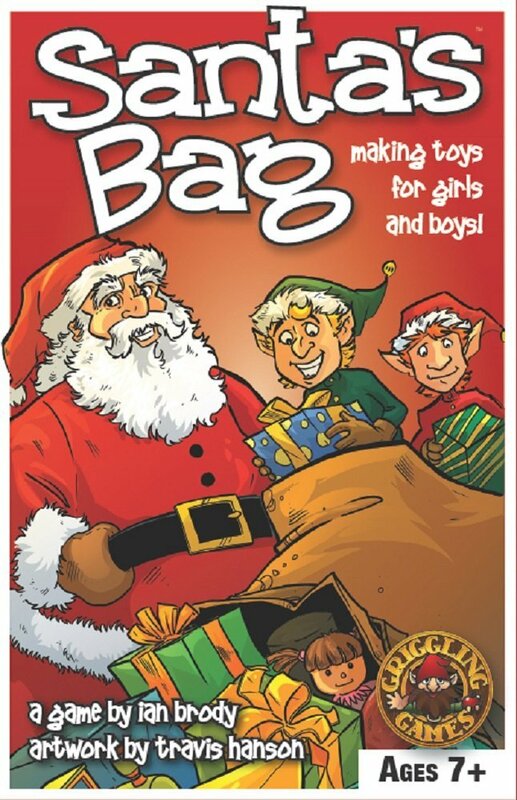 In Santa’s Bag, you play an Elf in Santa’s workshop. You make toys for kids. 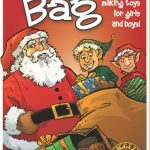 Santa reads his list and tells the Elves what toys to make and who will get them. On your turn, look at the toys that needs to be made. Do you have the parts to make a toy? Do you need more parts? You can trade with other Elves to get a part. You can even use Elven Magic to make the right part! The trickier the toy, the more points you earn. Building toys for nicer children earns you even more points! When you’ve built all the toys on Santa’s list, the player with the most points wins! The concept is simple: each of the 55 cards in the deck feature eight symbols, and there is always exactly one matching symbol between any two cards in the deck. Your goal is to be the quickest to find the match between two cards. 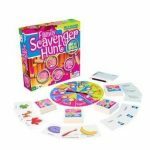 Check out these Fun Games for Kids on Holidays and let us know your kids favorite games too.